Many use the terms bookkeeping and accounting interchangeably, but the fact is the former is the first step to the latter, i.e. bookkeeping is the stepping stone of accounting. As far as the scope is of these two processes is concerned, Accounting is much wider and analytical than bookkeeping. 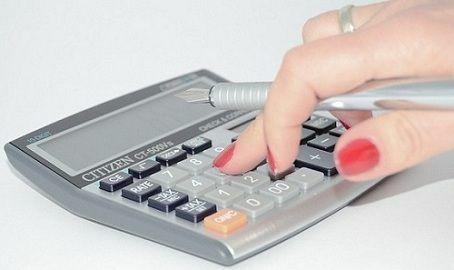 Bookkeeping it is only a part of accounting, which creates a base for accounting. While bookkeeping stresses on the recording of transactions and so the work is clerical in nature. On the other hand, accounting is all about summarizing the recorded transactions, which require a high level of subject knowledge, expertise, analytical skills, conceptual understanding and so forth. Take a glance at the article, which explains the difference between bookkeeping and accounting in tabular form. Meaning Bookkeeping is an activity of recording the financial transactions of the company in a systematic manner. Accounting is an orderly recording and reporting of the financial affairs of an organization for a particular period. What is it? It is the subset of accounting. It is regarded as the language of business. Decision Making On the basis of bookkeeping records, decisions cannot be taken. Decisions can be taken on the basis of accounting records. Methods / Sub-fields Single Entry System of Bookkeeping and Double Entry System of Bookkeeping Financial Accounting, Cost Accounting, Management Accounting, Human Resource Accounting, Social Responsibility Accounting. Determination of Financial Position Bookkeeping does not reflect the financial position of an organization. Accounting clearly shows the financial position of the entity. The process of complete and systematic record keeping of the monetary transactions of an organization by the bookkeeper is known as bookkeeping. It is the activity of keeping full documentation of every single financial transaction of the entity to form a base for the accounting process. The purpose of bookkeeping is to disclose the correct picture of income and expenditure at the end of the accounting period. Accounting is simply a business language which provides information about the financial status of the organization. It is a complete procedure which starts from the recording of transactions and ends on reporting of the financial statements at the end of the financial year. In accounting the monetary transactions of an organization are identified and systematically recorded, then they are grouped, i.e. the transactions of similar nature are classified into a common group and then it is summarized in a way which can be presented to the users of the financial statement. After this thorough analysis of financial statements are done which will help in interpreting the conclusions and finally communicating the results of the financial statements to the interested parties. Bookkeeping is keeping proper records of the financial transactions of an entity. Accounting is recording, measuring, grouping, summarizing, evaluating and reporting of transactions of the entity which are in monetary terms. The task of Bookkeeping is performed by a bookkeeper whereas the accountant performs the task of Accounting. Financial Statement forms a part of the accounting process but not the bookkeeping process. Accounting records are taken as a base for taking managerial decision unlike bookkeeping records, in which decision making is difficult. Bookkeeping is the first step to Accounting. Bookkeeping does not disclose the correct financial position however for purpose accounting helps the users in showing the true and fair view of the financial status and profitability of an organization. Bookkeeping works as a platform to Accounting procedure as bookkeeping is the initial stage or inception of accounting. Hence, Bookkeeping is an inseparable part of Accounting. Bookkeeping acts as a base for the Accounting and so if the bookkeeping of records is done properly, then it is supposed that accounting will also be perfect and vice versa. The task of Bookkeeping is a clerical one. Therefore, a little knowledge of commerce is sufficient for it while the task of accounting is an analytical one so thorough knowledge in this field is required. Thanks so much. It’s very helpful. Easy and short. Thanks for sharing a fantastic information about the bookkeeping and accounting ,I read this kind of information and remember the best point of this post which help me to run a business successful after reading a post . This is one aspect where people are often confused. Thanks for sharing a fantastic information about this.